There are plenty of CBT training centres if you want to take your CBT test in Thamesmead, and here at RideTo, we want to make the process of booking your CBT as easy as possible. Taking your CBT test in Thamesmead is preferable to taking it on the busy roads of central London, but it will still provide with a good base of knowledge and experience for when you want to venture into the city. Riding a motorcycle or scooter is one of the fastest, and most cost effective ways of getting around London, and you don’t need a full motorcycle licence to take advantage of that. A CBT (Compulsory Basic Training) Test in Thamesmead is all you need to make your commute quick and hassle-free. 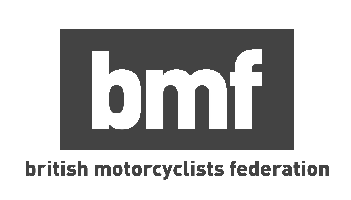 BLT Motorcycle Training are based in Thamesmead and the team at BLT will provide you with a helmet during your training, and talented and passionate instructors. If you’re in a rush, BLT use our Instant Booking system, which means when you book your CBT through RideTo, it will be booked as soon as you pay - you won’t have to wait for an instructor to confirm the date and time. North of the Thames we have SL Motorcycle Training, who are based in Dagenham. SL provide a fun and friendly atmosphere, and much like Thamesmead, the local roads are much quieter than central London. We have plenty of other CBT test centres around Thamesmead for you to choose from, in areas such as Hornchurch, Lewisham, Sidcup, Orpington, and West Thurrock. What Do I Need for my CBT Test in Thamesmead? It’s easy to prepare for your CBT. Most importantly, you need to hold a valid British Passport, or have been a UK resident for more than 185 days. You also need to ensure you have a valid provisional licence and be at least 16 years of age. You don’t need to worry about buying protective equipment before you take your CBT test in Thamesmead, the training school will provide you with most items, including a bike to complete your training. However, it’s best to wear sturdy trousers - such as jeans - and strong boots and a that cover your ankles. Check the weather the night before, too. If it’s going to be cold you’ll definitely want to take some extra layers to fight of that wind chill. It’s also wise to brush up on your highway code before you take your CBT, as the instructor will test your knowledge. Once you’ve completed your CBT, it will remain valid for two years. If you want to continue riding on your provisional licence past that point, you’ll have to renew your CBT or take your full motorcycle test.